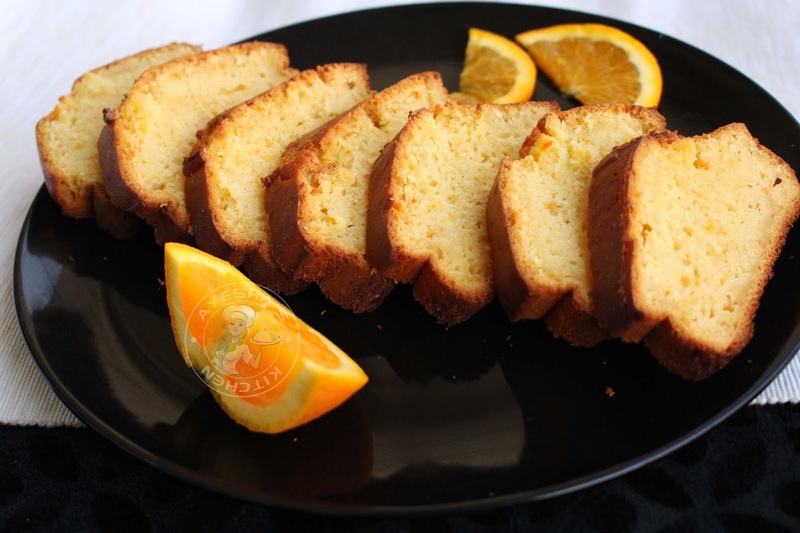 Here is a fresh orange juice cake recipe with the citrusy orange flavor. This is yet another easy to make cake recipe. 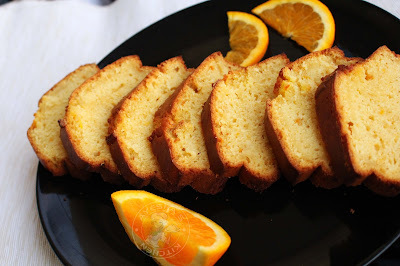 This is a must try fuss free citrus cake recipe ever. This is my first loaf cake recipe in my blog and am pretty happy to share this easy Orange loaf cake recipe with you guys. A glass of orange juice is a great image of refreshment and freshness. Am i right? So how about a slice of orange juice cake? Am not a sweet tooth person and so i prefer adding less sugar to all my bakes and cakes. I love baking cakes than eating those sweet stuff. Here i made a less sweet orange cake with a bursting orange flavor. Yes, it is delicious in each bite. A super moist tea cake recipe which is best to savor with a nice cup of tea or coffee. Now i started baking more cakes upon continuous request from my readers. As the festival Christmas is very close, am planning to make lovely Christmas puddings, Christmas desserts, and Christmas cakes indeed. 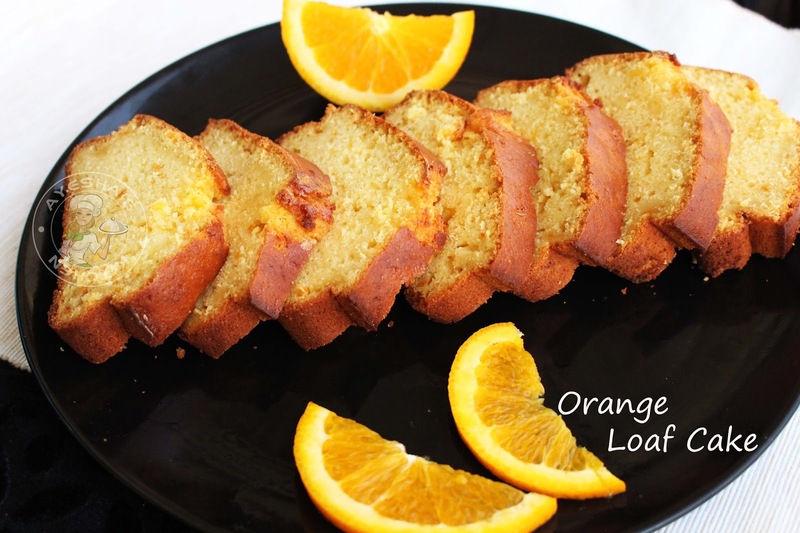 So let's move on to the recipe of Orange loaf. Please keep in mind that you can bake almost all cakes without an oven. Yes, you can bake this loaf cake too on the stove top. For no oven cake recipes, please check my no oven cake recipes given below. Here is the recipe showing how to bake orange cake/orange dessert recipes/orange cake recipe with orange juice/orange juice bread/orange cake. Grease the Loaf pan with a tsp of soft butter and then dust with flour, tap out the excess flour. Keep this aside. Preheat the oven to 180 Degree C for 5 minutes. Take the zest of orange by grating the orange skin using a grater. Set it aside. And squeeze the juice of one orange or take half a cup of thick orange juice. Set it aside. Sift together flour, baking powder, baking soda, and salt. When done, mix well and set this aside. NOW LETS START - Take a large bowl and add eggs and sugar. Whisk this well until fluffy. To this, add oil and again beat well. Then add curd and again beat well. Now add orange zest and orange juice. Again beat it. Now add in the sifted flour mixture and fold it gently. Never beat using a beater after adding flour mixture. Pour it into the prepared loaf pan and bake it for 45 minutes. Every oven varies in time and temperature. Keep this in mind while baking. Check the cake by inserting a toothpick and if it comes out clean, then the cake is done. When done, transfer the cake tin from oven and let it cool completely before removing from cake tin. When cooled completely, slice it and savor with a nice cup of tea.